If you’re a New York resident with plans to retire to Florida, you probably won’t miss the snow and ice of your home state. But you may be worried that you’ll miss trading stories with fellow New Yorkers who share your firsthand knowledge of the Empire State. Fortunately, there are several active adult communities in the Sunshine State that offer sun, fun, and the chance to share it all with others who hail from New York. These communities are operated by Blair Group, an award-winning developer of beautiful manufactured-home communities that make an active Florida lifestyle affordable for many adults 55 and older. At Blair Group, we’re committed to providing all the best things about retirement living without the high price tag that’s often attached to resort-style, 55+ communities like ours. And each of our five active adult communities has drawn its fair share of retirees from New York! 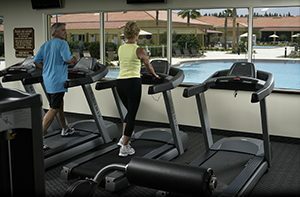 This community in Lakeland offers 36 holes of golf and a multimillion-dollar clubhouse complex with two swimming pools, a 5,000-square-foot fitness center, and facilities for tennis, pickleball, shuffleboard, bocce ball, horseshoes, and more. Located only a few miles from the Atlantic Ocean, this community near Daytona Beach is a winner for beachgoers. Three clubhouse complexes ensure that our residents never want for something to do, even if they stay inside our gates. This community is a sports-lover’s dream. It’s located just outside Tampa, which is home to professional football, hockey, and baseball teams. What’s more, indoor and outdoor pools, a woodworking shop, and a ceramics studio set this community apart from ordinary active adult communities. Located near Orlando, this community will put you within an easy driving distance of theme parks, shopping, and dinner theater venues. Plus, there’s a charming downtown district that you can reach by golf cart! This waterfront community in Leesburg borders a 9,400-acre lake that’s teeming with bass. It’s the obvious choice for anyone who dreams of spending their retirement out on the water. We’ll be happy to provide details about any or all of our active adult communities, as well as schedule tours for you when you’re visiting from New York. Contact our Lifestyle Team today to learn more.